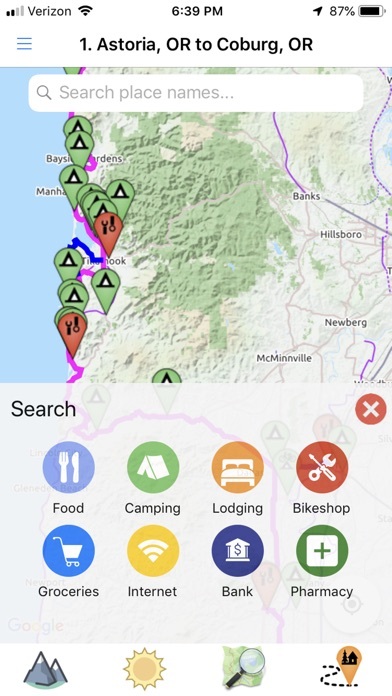 The Bicycle Route Navigator app features nearly 47,000 miles of awe-inspiring, well-established bicycle routes and 100+ maps to choose from. 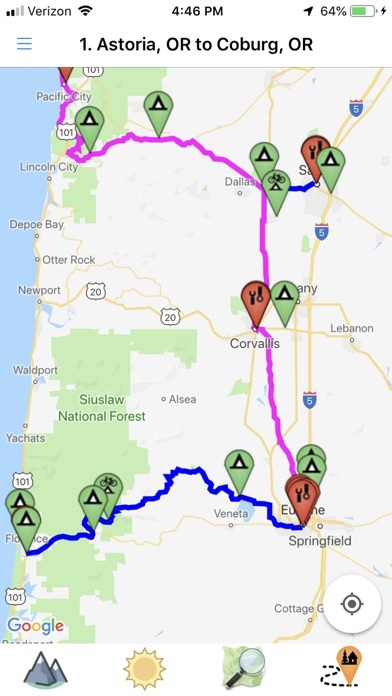 You can purchase the route sections you need from within the app. 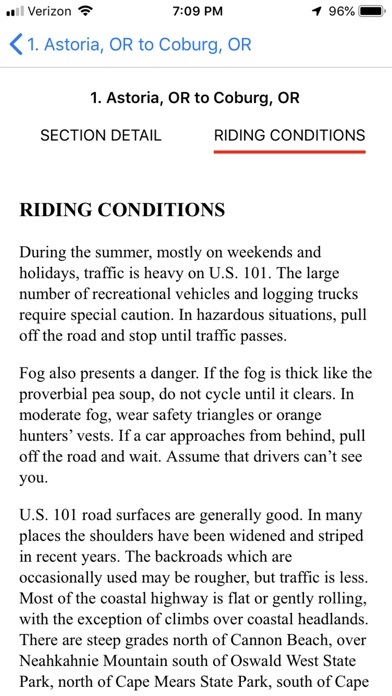 No subscriptions or complex file conversions are necessary — just download the app, purchase a route section, and start riding with confidence. 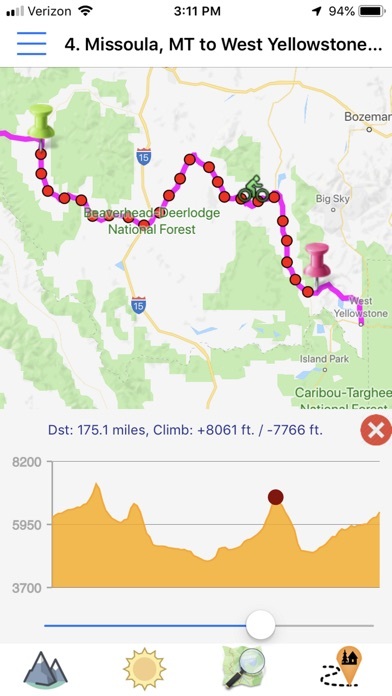 PLAN YOUR PERFECT BICYCLE ADVENTURE If you are craving a long distance 4,200-mile cross-country bicycle route like the TransAmerica Bicycle Trail or a shorter 256-mile off-road adventure along a portion of the Great Divide Mountain Bike Route, this is the app for you. 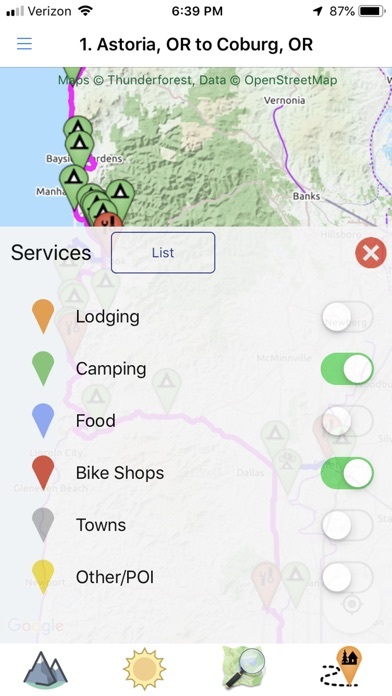 Travel confidently with at-your-fingertips cycling-specific info like elevation profiles, distance, riding conditions, location of bike shops, sources for food and water, and listings of overnight accommodations including camping facilities, small hotels, and cyclists-only lodging. 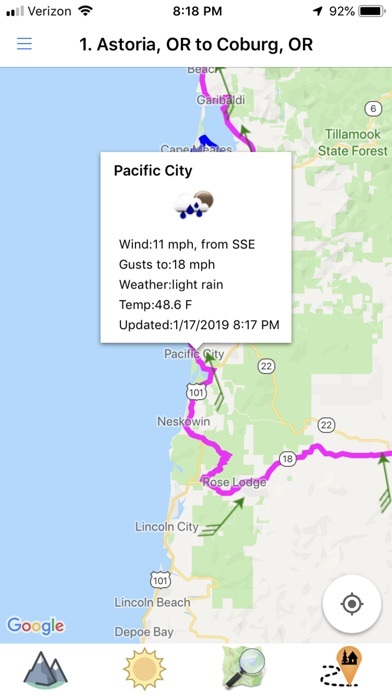 REAL-TIME WIND AND WEATHER The app includes wind and weather data along the routes and severe weather warnings that include thunderstorm, flood, and fire information. PLAN YOUR OWN UNIQUE AND AUTHENTIC ADVENTURE Detailed route descriptions and service layers reveal all the beauty you’ll encounter along the way. You can plan each day to include various excursions and scenic stops such as waterfalls, hot springs, lakes, or local art museums. 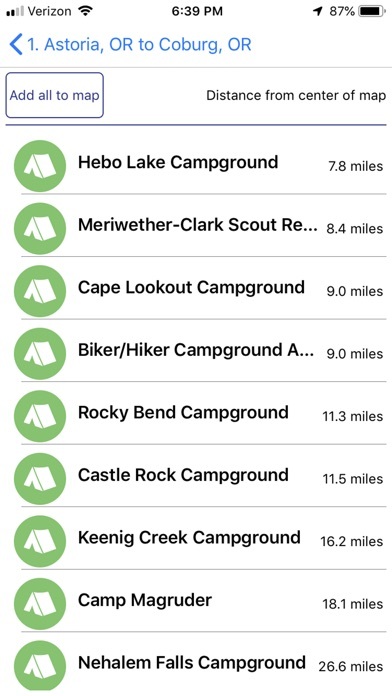 TAP TO CALL One tap to call ahead for a campsite, check lodging availability or connect with a nearby bike shop. Use embedded OpenStreetMap search for even more services. NO CELL COVERAGE? 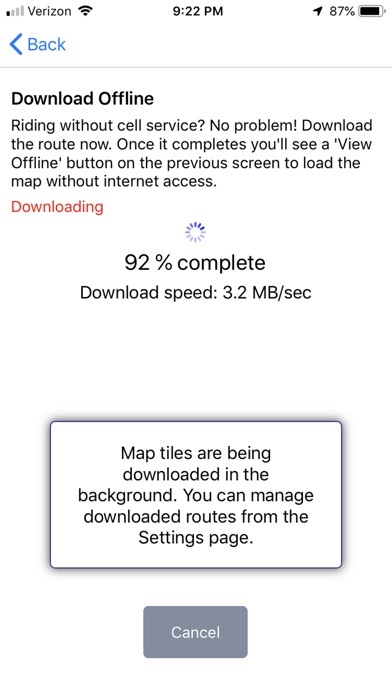 NO PROBLEM Download the basemap to your device so it’s available offline without a cell signal. BEST LONG AND SHORT-DISTANCE BICYCLE ROUTES AVAILABLE Adventure Cycling develops the best cross-country, loop, coastal, and inland cycling routes available. This app serves as an excellent companion to our paper maps. 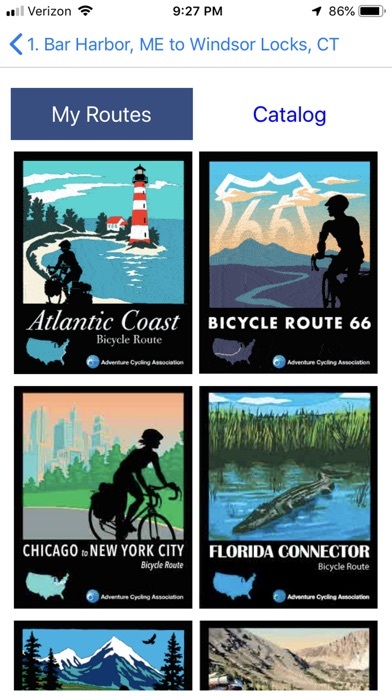 The Adventure Cycling Route Network features rural and low-traffic established bicycling routes through some of the most scenic and historically significant terrain in North America. Adventure Cycling’s Routes & Mapping department is constantly working on research and development of new routes as well as the maintenance of the 47,000 miles of existing routes.